The Medical College was established in 1963. The preclinical section began in 1964 and the clinical section in 1966. The State Government built a 700 – bed hospital to offer clinical facilities to the students. The College was recognized by the Medical Counicl of India (MCI) in 1972 and was the second Private Medical College in the Country next to Manipal to get recognition. The graduates of the College are serving in different parts of the country and abroad. The Post-graduate courses began in 1979 and now the College is offering Post-graduate training in 18 different subjects. The Government of Karnataka had decided to establish a Medical College at Bellary instead of Gulbarga. Hyderabad Karnataka Education Society under the leadership of Sri Mahadevappa Rampure started a Medical College in Private sector in 1963. Sri S. Nijalingappa, the then Chief Minister, Govt. of Karnataka, Sri. Veerendra Patil and Dr. D. C. Pavate helped in establishing the Medical college. Medical College was started in 1963 with mission to bring out quality doctors by imparting quality education to meet the present and changing expectation of the people and improving the health status of the people of this region by offering health care and providing optimum training facilities for Medical students. In 1973, Sri. Mahadevappa Rampure, the architect & founder of the Medical College left to heavenly abode and to salute his vision, dynamism and hard work in establishing this College, it was named after him as “Mahadevappa Rampure Medical College”. Initially clinical training was given in the Govt. District Hospital (Present District Health Office) on the Main road, which was having a very small space. Looking at the needs of the college & due to keen interest shown by the then PWD minister Sri. Veerendra Patil, Government started the construction of a 850 bedded hospital on Sedam road. The hospital was ready in January 1967. The clinical training was shifted to the present District General Hospital. The College got recognition from the Medical Council of India in 1972. It was the second private medical college in the Country after KMC, Manipal to get this recognition. College also got the recognition from the British Medical Council. The College achieved a new landmark in 1979 with the opening of the post-graduate courses in 8 subjects. The Blood Bank was established in 1980. The College was affiliated to the Gulbarga University till the year 1996 & thereafter Rajiv Gandhi University of Health Sciences, Bangalore. The College got 10 more new Post-Graduate courses during the eighties. The College started Certificate courses in Laboratory technology, radiographer and optician & refractionist and also B.Sc. Laboratory Technology. The College runs the Post Graduate Courses in Preclinical Subjects: Anatomy, Physiology and Biochemistry. Paraclinical Subjects: Pathology, Pharmacology, Microbiology, Forensic Medicine and Community Medicine. And Clinical Subjects: Medicine, Paediatrics, Dermatology, Surgery, Orthopedics, ENT, Ophthalmology, Radiodiagnosis, Anaesthesia, Obstetrics and Gynecology. The College got recognition to all its post-graduate courses by the Medical Council of India. The courses have been started in the subject of Anatomy, Physiology, Biochemistry and Microbiology under the RGUHS in 2008. The intake of undergraduate students increased from 100 to 150 per year and these increased admissions were also recognized by the Medical Council of India in 2008. The intake of Post Graduate admissions increased in the Department of Medicine from 08 to 10 per year, in Surgery from 06 to 08 per year and in Orthopaedics from 01 to 03 per year during the year 2005-06. To improve the health status of the people of this region by offering quality health care and to provide optimum training facilities for Medical students it was decided to start its own hospital for teaching purpose, the land for which was selected near to the college on Sedam Road. 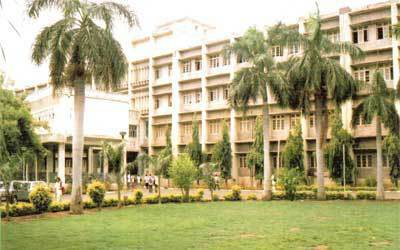 Basaveshwara Hospital was given was a silver jubilee gift to the college in 1989. Its foundation stone was laid by Sri R Venkataram, the then Vice President of India in 1983. Sangmeshwara hospital was added in nineties to the college. The Medical Council insisted that the College must have its own hospital for teaching purpose. Accordingly bed strength of Basaveshwar Hospital was increased to 765 and the Government General Hospital used for teaching purposes from the beginning of the College was discontinued from 2005. Then onwards all the clinical teaching activity is being carried in Basaveshwar and Sangameshwar Hospitals. The College developed an Urban Family Welfare Centre at Rajapur and constructed residential accommodation at Hebbal Community Health Center. Currently the college offers the basic undergraduate degree of MBBS and postgraduate degree and diploma degree in 18 subjects. There are 250 well trained & experienced staff. M.R. Medical College is a four storyed building covering 120,000 square feet area and houses various pre and para clinical departments and also department of Medical Education. Emphasis in all the departments is on applied and Clinical aspects of subjects and all Departments of Anatomy, Physiology, Biochemistry, Pathology, Microbiology, Pharmacology, Forensic Medicine are geared to provide hospital services besides teaching and research. Each department is well equipped with modern equipments. The rear section of the college has been beautified by converting it into a garden with a fountain in the centre. It serves as a pleasing venue for delegates who come to attend various conferences hosted by the College. The College has fully operational sports department. There is indoor Sport Complex with wooden Badminton court, TT, Chess, Carrom etc. The students participate in various intercollegiate events organized by the Colleges and University. The library is equipped with all modern facilities like Computers with Internet connection, Audio Video facilities, Micro-film Reader, MEDLARS, MEDLINE CD-ROM (Silver-Platter), Photocopy machine. Total Collection of text books and references is about 22,222. The college spends about Rs.15 to 20 Lakhs annually to procure new books and about Rs. 20.00 Lakhs annually for subscription to various National and International Journals. The College also subscribes for the HELINET of RGUHS which offers about 500 full text of E-Journals Library also provides current Awareness service, Bibliographic service, & Departmental Library Service. Our College Offers under graduate MBBS programme with an intake of 150 Seats per year (4½ years course with a compulsory one year rotating intership) and post graduate course in all pre and para clinical disciplines leading to MD / MS / PG Diploma qualifications. Candidates should have passed 12th standard and should have obtained 50% aggregate marks in Physics, Chemistry and Biology (taken together) and should have passed English as one of the subjects. The candidates should have completed 17 years of age as on the 31st December of the year of admission. Master Degree courses in Medical, Dental Nursing and many more. Lord Buddha Koshi Medical College Hospital Saharsa. Founded 2012. Bihar. Affiliated to B.N. Mandal University. MBBS Course available fro admission. Lord Buddha Koshi Medical College Hospital Saharsa, Bihar. MBBS 0 Seats. The Medical College is a private medical institution in Saharsa, Bihar offering MBBS Course. MBBS Course – Lord Buddha Koshi Medical College and Hospital, Saharsa, Bihar undertakes the teaching and training of students for under-graduate course of MBBS. The medical college and the medical courses are recognized by Medical Council of India. The brief details are given below for the aspirants looking for admission in the Medical College in Saharsa, Bihar. The details include contact details, facilities, year of establishment, recognition, accreditation, etc. MBBS Seats 0 Seats. MBBS Admissions in Lord Buddha Koshi Medical College Hospital Saharsa, Bihar are through Competitive Entrance Examination. RECOGNITION:The Medical college is Mci recognised .The college is also accredited by WHO’s World Directory and IMED which holds USMLE Exam. ABOUT COLLEGE: Santosh Medical college is a constituent of Santosh University which also runs the dental ,nursing etc college since 2007.The college has a sprawling campus of 85 acers and runs a 700 bedded multi-disciplinary hospital having separate accommodation for boys and girls.The college has got all the departments that a good contemporary medical college should have and attracts good number of patients from all over NCR.The medical college has got a large auditorium with seating capacity of more than 500 students. The University is very modern in its outlook and is equipped with all the departments that a college should have. One of the most remarkable factor about the college is that this college is mostly preferred by doctors of Ncr region who want their ward to pursue Mbbs or Post Graduation Degree. The college provides all round development including academics to the people who are associated with it by all sorts of activities like exhibitions,plays,art shows,knowledge sharing activities ,industrial interface etc. The Santosh University is dedicated to a triple mission of education, research and service. It is committed to maintaining an educational environment for all students which prepares them for a career of excellence in the practice of medicine and service to their communities. We recognized the need to engender and support life-long learning to sustain and expand competent performance throughout the physician’s career. Therefore at Santosh University, we provide today’s health sciences students with distinguished and committed faculty, thoughtful and humanistic mentoring, state-of-the-art learning facilities and clinical experiences in its very own, respected teaching hospitals. Santosh University is an institution of higher learning, with a triple mission of education, research and patient care. In addition to offering degrees in Medicine and Dentistry, the University provides an environment for learning and discovery through the education of healthcare professionals and bio-medical students, research in health science and comprehensive healthcare. Santosh University is in the process of looking at coordinating educational alliances and other programmes with leading foreign Universities, to design and develop new medical schools, as well as integrating academic healthcare centers. Santosh Group of Institutions were established with the main aims and objectives of managing Medical Colleges, Dental Colleges, Para Medical, Paradental (Allied Sciences)Colleges, Hospital etc., i.e. ‘HEALTH CARE INSTITUTIONS’. To establish and run all courses of study, research and to provide efficient and systematic instruction, teaching, training and research in such branches of learning as it may determine in the field of Medical, Dental and Allied Health Sciences and also in all other branches of Education. • To Institute and provide for Multipurpose Super-specialty Hospital(s) and Trauma Care Centre(s) by upgrading the existing Institutions and to establish them as a Centre of Excellence for the advancement of research and dissemination of the knowledge. • To conduct courses under UG/PG Degrees – Diplomas, Higher Specialties and other Academic Distinctions of the University. Along with patient care, medical research is a primary focus at Santosh University. Ongoing scientific research occupies a major and important part of its activities. The University is well equipped with a state-of-the-art research center which keeps the patients and the extended medical community abreast with the latest developments. UNIVERSITY STATUSWithin a few year of its inception, the Maharaji Educational Trust proved to be a unique model institution rendering state-of-the-art medical education. On reviewing its excellent performance with respect to academic and infrastructural facilities, the Government of India in exercise of its power, conferred by section 3 of the University Grants Commission Act, 1956 granted Deemed University Status under the name and style of “Santosh University”, on 13th June 2007 and presently comes under Santosh Trust. • The college is listed in the WHO’s World Directory of accredited medical schools and IMED (the International Medical Education Directory of Educational Commission for Foreign Medical Graduates) which holds the United States Medical Licensing Exam (USMLE). Santosh Medical College is one of the selected EPIDEMEOLOGY and related training institutes, recognised by the WHO. • The college is also recognised by the Indian Medical Council, the Indian Dental Council and UGC of India. • For admission to M.B.B.S., B.D.S. – Pass in PCB and English at 10+2 with 50% marks in aggregate taken together from recognized Board (40% marks for reserved category SC/ST/OBC). • For admission to B.Sc. (Nursing) – Pass in PCB and English at 10+2 with 45% marks taken together from recognized Board (40% marks for reserved category SC/ST/OBC). • For admission B.P.T., B.O.T., B.M.M. – Pass in intermediate (10+2) with 45% marks from recognized Board with PCB(40% marks for reserved category). • Note: The candidate are advised not to submit their applications forms to appear for the test, if they do not fulfill any of the above mentioned eligibility criteria. • Candidates who do not possess the above qualification at +2 or any other equivalent examination. • Candidates who are presently undergoing any of the professional courses. • Candidates who have already joined in any of the professional colleges. Non Clinical:4 to 5 lacs.